Beautiful pattern in a mix of black and white with a half broken effect. Handmade in finest wool and is double weft. - A perfect conglomerate of Black and White in a unique pattern. - The design depicts a broken window or a broken plate. - This rug would add ultimate finesse to one's space due to its unique design and color combinations. - The material used is 100% wool and is double weft. 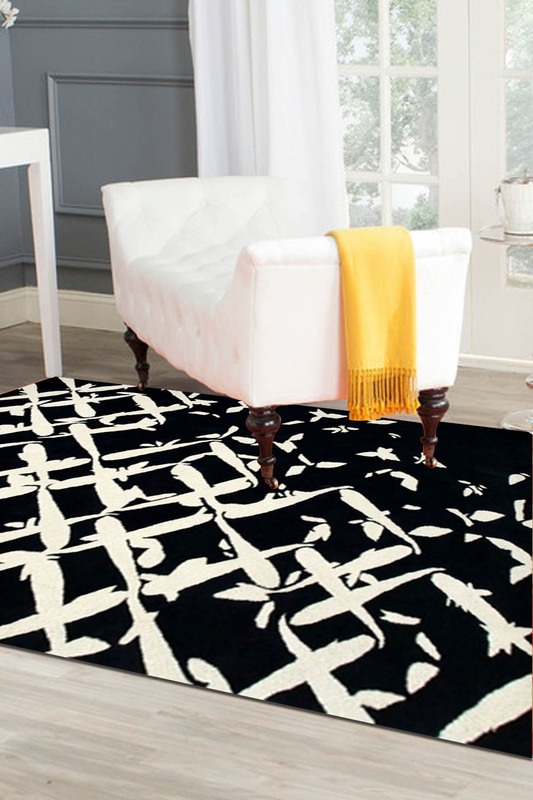 - Rugsandbeyond's recommendation is to either place this rug with black or white interiors and add a pop of red. - It can also be used as a feature rug and is highly durable.